Use this delicious Garlic Butter broiled on french bread or baguette, to top lightly steamed vegetables, on baked potatoes, on pasta or rice, or slather on steak or other meat. Stir all ingredients together. Store in an airtight container in fridge for up to a week (or longer if it still looks good!). Spread on bread, or toss with hot grilled veggies, meat, seafood, or pasta. 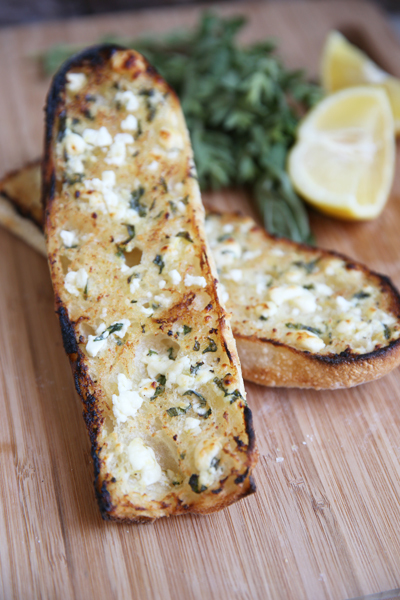 To make garlic bread, spread on baguette and toast until golden brown. Serve immediately.